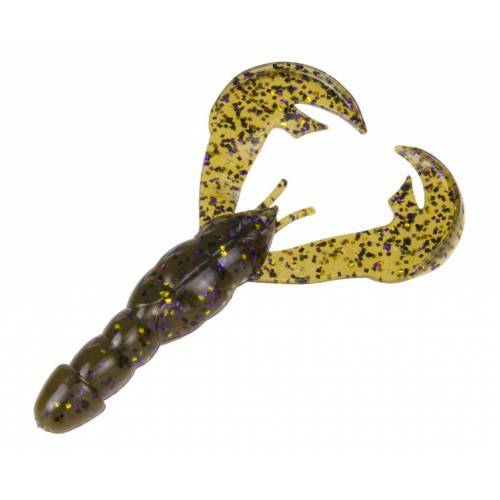 Strike King Rage Tail Craw - Green Pumpkin Purple & Gold. An ideal 4" softbait that can be fished Texas rigged, Carolina rigged or as a jig trailer. Unique tail design is engineered to splash, make noise and attract fish with action-packed movement. 7 per package.